French case law Archives - Page 19 of 22 - Patent my French! We have one saying which goes “Vérité en-deçà des Pyrénées, erreur au-delà“, which could be translated by: “What holds true on one side of the Pyrenees may be false on the other“. Well, the same can probably be said of the Rhine. In a previous post, I discussed a recent decision by the Paris Cour d’appel, in which medical device claims were found novel due to a purpose feature – in keeping with the well-established French novelty standard. This approach is at odds with the practice of the EPO, where purpose features are only taken into account if they can be translated into structural limitations. Yet, the greater generosity of French courts with patentees with respect to novelty is counterbalanced, it seems, by greater severity in particular with respect to sufficiency of disclosure, as the same case shows. – the temperature control unit is further adapted to control the temperature of the cooling means such that the temperature of the subjects skin and/or the temperature in the subject’s skin and/or the temperature on the surface of the subject’s skin does not fall below a predetermined minimum temperature on the basis of the temperature of the subjects skin and/or the temperature in the subject’s skin and/or the temperature on the surface of the subject’s skin. […] In this case, the skilled in the art is a team composed of a specialist in skin biology and a specialist in the field of cryogenics (cryolipolysis as regards the destruction of fat by the cold). […] The cryolipolysis device disclosed by claim 1 of the patent at stake must be able to selectively break lipid-rich cells by cooling, owing to cooling means which make it possible to maintain, at the same time, the skin of the subject at a temperature such that the other cells of the dermis and the epidermis are not broken […]. The sufficiency question at stake was thus whether there was enough information in the patent to achieve this general purpose. In this respect, three parameters came into play, according to the court: cooling temperature, cooling time, and the surface area of the patient’s skin subjected to the cooling. the examples in the patent would direct the skilled person to specific cooling parameters of -6°C for 5 minutes or -7°C for 10 to 20 minutes. In order to assess the merits of this defense, the court analyzed the contents of the description of the patent in great detail. They noted a number of extremely generic and vague statements. […] at paragraph  of the description, a temperature range for the cooling means is mentioned which is excessively broad, since it goes from the temperature of liquid nitrogen (-196°C) to human body temperature (37°C); at paragraph , preferential ranges are provided, but they are still very broad and imprecise, since they encompass from “approximately” -15°C to “approximately” 35, 30, 25, 20, 15, 10 or 5°C, or from “approximately” -10°C to “approximately” 35, 30, 25, 20, 15, 10 or 5°C, or also from “approximately” -15°c to “approximately” 20, 15, 10 or 5°C […]. The court continued to analyze the rest of the description of the patent and remarked that many other indications were provided for the temperature of cooling of lipid-rich cells as well as for the cooling time. In particular, the court noted the disclosure of preferred temperature ranges of -10 to 37°C, -4 to 20°C, -8 to 33°C, -2 to 15°C, -10 to 35°C, -5 to 10°C, -5 to 5°C, -10 to 20°C, -8 to 15°C, as well of many exemplary values. […] paragraph  starts by teaching an application time for the cooling means of up to two hours, while retaining a preferred time of between one and thirty minutes, but without specifying for each temperature level of the cooling means what the corresponding preferred application time is, except for the sole example of liquid nitrogen application, although on the one hand liquid nitrogen temperature does not correspond to the preferred temperature ranges mentioned in the previous paragraph and on the other hand the duration of application (one tenth of a second) does not correspond to the time range indicated as preferential. The court also noted that various cooling patterns were disclosed, such as continuous cooling, multiple cooling cycles, and cooling with intermediate warming up periods (which, said the court, are not specified). Time intervals between cooling applications ranged from 1 minute to 1 hour or from 12 to 24 hours. […] it cannot be derived from such broad and imprecise – or even contradictory – temperature and time indications that, for the skilled person, the cooling temperature range for achieving cryolysis of lipid cells would vary between -2 and 15°C and the optimal application time would vary between 5 and 20 minutes (all the more so that this time mentioned at paragraph  does not relate to the application time but to the preferred interval between each application). […] Generally, the dimension of the surface area (e.g., where the cooling agent is in contact with the skin) should be at least three times the depth of subcutaneous fatty tissue that is targeted for cooling. Preferably, the minimum diameter of the surface area is at least 1 cm2. Even more preferably, the diameter of the surface area is between 3 to 20 cm2. Determination of the optimal surface area will require routine variation of several parameters. For example, larger surface areas, such as those over 3500 cm2, can be cooled according to the methods of the present invention if hypothermia is prevented by additional means. Again, the court was dissatisfied with this teaching. Actually, there seems to be a confusion in this passage between dimensions and surface areas. Moreover, “it is not taught how the skilled person could measure the depth of subcutaneous fatty tissue“, said the court; and the preferred ranges are very broad indeed. If we stop at this point for a moment, the main problem of the patent’s description is not that there was too little information but rather that there was too much. Instead of providing a couple of relevant ranges of values for the various parameters at stake, the patent offered a huge number of variants within an extremely broad disclosure. I take this as a serious warning against U.S.-style claim drafting. 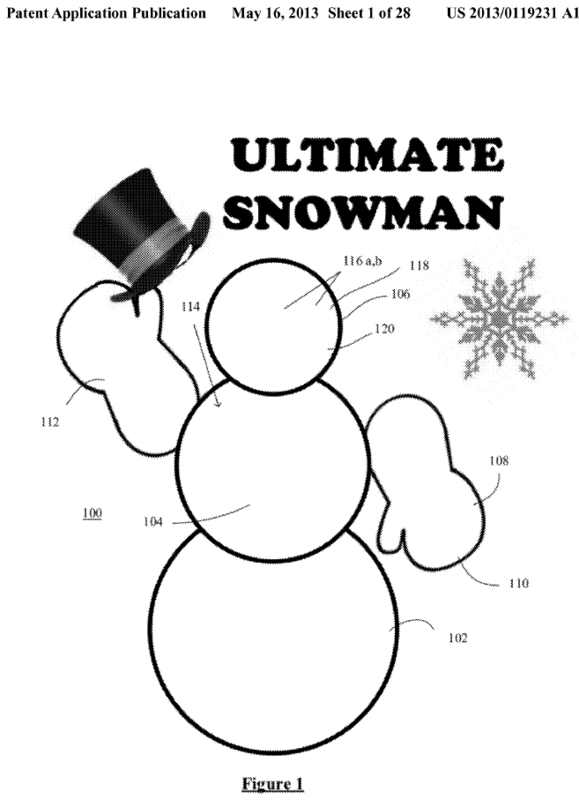 It is quite common to find extremely broad definitions in U.S.-originating patents, and the reader sometimes gets the impression that any term can mean anything and that each parameter can take any possible value under the sun. This drafting practice of course makes perfect sense in terms of affording the best scope of protection, especially in the U.S., but the present example shows that it may not always play well on this side of the Atlantic, where courts insist on finding an actual technical teaching which can be of practical use to the skilled person in the patent, in order for that patent to be deemed worthy of being upheld. My feeling on this is that the Cour d’appel can probably not be blamed for looking for a real, practical teaching in the patent. But then comes a more controversial part of the judgment. Indeed, the patent also contained a number of examples relating to experimental testing on pigs and showing a decrease in adipose tissue without damage to the dermis or epidermis. At the EPO, “an invention is in principle sufficiently disclosed if at least one way is clearly indicated enabling the person skilled in the art to carry out the invention“, as the Case Law bible (Case Law of the Board of Appeal of the European Patent Office, 7th edition, 2013) puts it in section II.C.4.2. […] Zeltiq and General Hsopital, based on the expert report of William E. […] state that these experimental results would direct the skilled person towards the application of a temperature from -6°C for 5 minutes to -7°C for 10 to 20 minutes. […] Although this expert believes that the skilled person […] would have concluded in 2002 that the results observed in the three pigs of examples 1 and 2 would also apply to humans, it should be noted that this expert, who is an MD specialized in dermatology cannot be considered as the skilled person […] and that he relies on findings from more contemporaneous studies, whereas the priority date of the application […] is the reference for assessing the sufficiency of disclosure of the patent. […] It can be derived in particular from the article by Mr. M. entitled “the skin of domestic mammals as a model for human skin, with special reference to domestic pig” dated 1978 […] that “data from animal experiments cannot be transcribed without restriction to man”. […] Thus it does not appear that the skilled person in 2002 could have extrapolated the results of experiments 1 and 2 described in the patent and relating to pigs so as to select a cooling temperature application from -6°C for 5 minutes to -7°C for 10 to 20 minutes. With that, claim 1 as well as the dependent claims relied upon by the plaintiffs were held invalid. The unfortunate result of excessive fat disruption due to an erroneous setting of the patented device. Again, I think this part of the judgment is quite debatable. Indeed, in the medical or medical-like field, there are usually in vitro studies first, then animal studies, and only then human studies. Actual experiments on human patients usually come late in the development process, so late that it does not make sense to wait for that stage before filing a patent application, in a first-to-file system. This is certainly why the Boards of Appel of the EPO only require that the description of the application should make it plausible that a claimed technical effect can indeed be achieved (see e.g. here). My understanding is that animal studies are generally considered as making it plausible that a certain treatment can also be applied to humans, unless there are special reasons to come to the opposite conclusion. There is no denying that animal studies are less complete than human studies but stating that animal experiments are generally not sufficient for a skilled person to carry out an invention would mean tossing out most patents in the drug and medical device industries. I have not had access to the exhibits filed by both parties in this lawsuit, so I do not have a complete opinion on the patent at stake. But let’s put it like this: absent any showing (1) that the selective disruption of lipid-rich cells in humans does not work, or (2) that the settings to make it work are very removed from those disclosed in the examples of the patent, I would say that the judgment was harsh with the patent proprietor. CASE REFERENCE: Cour d’appel de Paris, Pole 5, chambre 1, January 12, 2016, Patrick M. & Clinipro v. The General Hospital Corporation & Zeltiq Aesthetics Inc., RG No. 13/13050. French courts and the Boards of appeal of the EPO are supposed to apply the same validity rules to European patents. But in fact a patentee’s chances to withstand a validity challenge differ between Paris and Munich depending on the nature of this challenge. So much so that one could go as far as saying that, depending on which strongest arguments a third party may have against a patent, either an opposition at the EPO or a nullity action before the Paris Tribunal de Grande Instance (TGI) would be a better option. Some previous posts have illustrated that French courts tend to have an extremely restrictive, and actually rather surprising, approach concerning patentability of therapeutic inventions or computer programs (see e.g. here or here). One recent decision illustrates another interesting discrepancy, with a patent found novel but insufficiently disclosed in France, whereas it could very well have been held sufficiently disclosed but lacking novelty by a Board of appeal – although this assumption will never be tested, since no opposition was filed. I will address the novelty aspect in the present post and the sufficiency aspect in a next post. The patent at stake is European patent No. EP 1490005, assigned to The General Hospital Corporation (hereafter General Hospital). General Hospital, together with its exclusive licensee Zeltiq Aesthetics Inc., sued a small business named Clinipro for infringement of the patent, both in Spain and in France. It seems that the patent was held invalid in Spain (although a preliminary injunction had been obtained first). Unfortunately, the French judgment does not explain on which grounds the patent was found invalid by the Spanish judges (it would have been interesting to be able to make a comparison with the French approach). In first instance, the Paris TGI held that the patent was valid and infringed. At that time, only lack of novelty and lack of inventive step had been raised as an invalidity defense by Clinipro. On appeal, Clinipro added an insufficiency challenge, which carried the day. By the way, this is yet another difference, a procedural one, with respect to EPO proceedings, since an opponent would not be allowed to introduce a new ground for opposition at the appeal stage – unless the patentee agrees to it, said the Enlarged Board of Appeal with a deadpan sense of humor. Let’s now examine the novelty attacks against this claim, which failed. 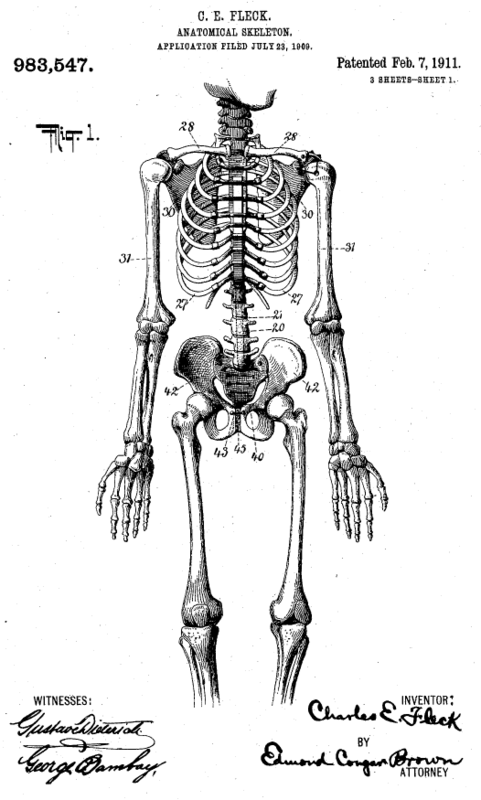 […] in order to be comprised in the state of the art and thus lack novelty, the invention must be entirely found in a single piece of prior art in all certainty, with the same elements which make it up, in the same form, the same arrangement and the same mode of operation in order to achieve the same technical result. The last part of the sentence is very noteworthy: a prior art disclosure will take away novelty of a claim if and only if, not just the structure of the invention is taught in the prior art disclosure, but also the function and technical result of said invention. This is particularly significant in a case such as the present one which deals with a claim directed to a “device for” – here, “a device for selectively disrupting lipid rich cells in a non-infant human“. The court not only fully relied on this feature in the novelty analysis, but in fact also took into account the general purpose stated in the patent, which is to reduce orange-peel skin by destroying subcutaneous fat tissue without damaging the dermis or the epidermis. […] The invention thus disclosed by this patent application is only intended for treating diseased or injured animal tissues, for instance inflamed limbs, by cooling the limb to a temperature of between 13 and 18°C or skin cancer by cooling the limb to temperatures below zero. […] This prior art therefore does not disclose a set composed of the same means having the same function and leading to the same result as the patent at stake, namely selectively cooling lipid-rich cells in a non-infant human subject so as to break those up and reduce the excess of fatty cells without causing damage to other tissues. […] The invention thus disclosed by this patent application is only intended for cooling (or warming up) a limb in a controlled manner below the normal temperature of the body in a medical treatment, in order to eliminate the excess of fluid stored in muscular compartments further to a wound so as to avoid the occurrence of the compartment syndrome related to excessive pressure on nerves and blood vessels. […] Similarly, this prior art does not disclose a set composed of the same means having the same function and leading to the same result as the patent at stake. Fat and cold are not always incompatible. If a claim commences with such words as: “Apparatus for carrying out the process etc…” this must be construed as meaning merely apparatus suitable for carrying out the process. Apparatus which otherwise possesses all of the features specified in the claims but which would be unsuitable for the stated purpose or would require modification to enable it to be so used, should normally not be considered as anticipating the claim. 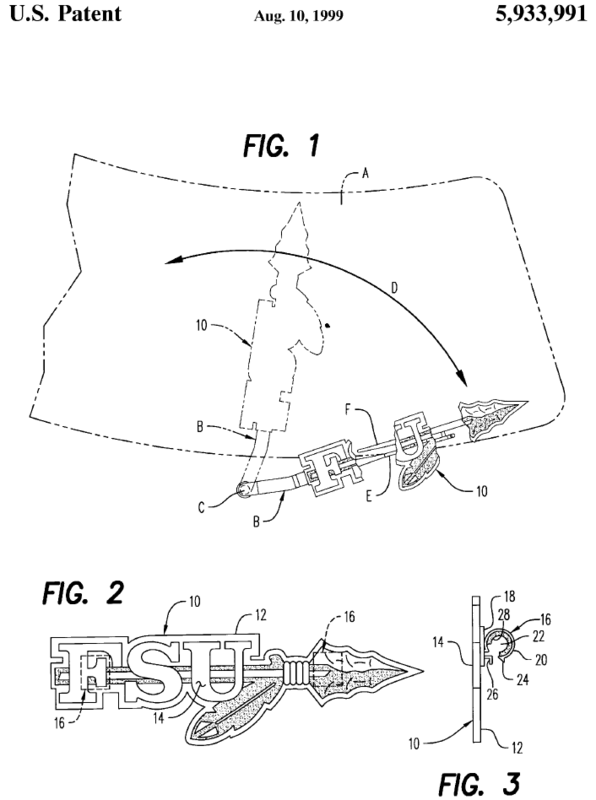 Therefore, if a Board of appeal had examined novelty of claim 1 of this patent, it would certainly have focused on whether the prior art devices were suitable, i.e. could potentially be used, for the claimed purpose, and not on whether the claimed purpose was disclosed per se in the prior art. The Paris approach is thus much more lenient with patent proprietors than the Munich one. I am not sure which one is the best one, but I can see two advantages with the French way of handling novelty. First, it may provide increased legal certainty, as it may be easier to assess whether the function and result of a claimed device are disclosed in the prior art than to figure out whether a prior art device could potentially be used in the same way as the claimed invention. I think this latter question leaves more room for interpretation and discussion: is the new use simply a matter of changing the settings of the prior art device, or would structural redesign be necessary as well? Second, especially in the medical device field, it makes it possible to more adequately reward innovation, taking into account the prohibition of therapeutic or surgical use claims. If we take the present case, a new method of disrupting lipid-rich cells might not be patentable, since it is probably considered as being of a therapeutic and/or surgical nature. However, it may make sense to grant a patent on an apparatus specifically designed to implement this new method, if there is an actual (novel and inventive) invention involved. The real paradox however is that, in those situations where the EPO does fully take into account a claimed purpose in a novelty analysis, as is the case with second medical use claims, French courts tend to be reluctant to do the same. I am thinking in particular of dosage regimen features, which tend to be ignored by French courts if they are not considered as relating to a “different technical teaching” (see e.g. here). Anyway, if General Hospital benefited from a liberal stance of the Cour d’appel in the first part of the judgment, alas the bad surprise for them came in the second part, which I will deal with in a next post. It is an infrequent but real pleasure for a litigant to face an opponent who does not fight and does not bring any contradiction to the litigant’s case. But I guess the pleasure is considerably reduced when the opponent in question is a Chinese infringer which vanishes from the radar and might always reappear later in another form. It seems that the wiper business of the Valeo group was confronted with this situation, as suggested by two judgments from the Cour d’appel de Paris dated April 14, 2015 against two Chinese companies which did not even appoint a lawyer to defend them. At first instance, both companies were found guilty of infringement of the French part of European patent No. EP 1486134. In one of these cases, the defendant was in addition found guilty of infringing two trademarks as well as of passing off. This looks more like organized piracy than conventional patent infringement. However, the first instance judges rejected two further infringement claims based on patents No. EP 1485280 (EP’280) and EP 1565359 (EP’359). Valeo appealed, and the Cour d’appel partly reversed the first instance decisions, finding in favor of the claimants. Unless the patent proprietor consents, the supply or offer to supply, on the French territory, to another person than those entitled to work the patented invention, of means for implementing this invention on this territory, in relation with an essential element thereof, is also prohibited, when the third party knows or circumstances make it obvious that these means are suitable and intended for this implementation. Wiper device (10), particularly for wiping vehicle windscreens, comprising a drivable wiper arm (14), with a flat wiper blade (16) positionable on the wiper arm (14), which (wiper blade) comprises a wiping rubber (18), the support elements (20) bearing the wiping rubber (18), which (support elements) may preferably be designed in the form of strip-like elongated spring rails and means of connection for connection to the free end (12) of the wiper arm (14), wherein the means of connection comprise a carrier element (22) firmly arranged on the support elements (20) and a connecting element (24) arranged to be partially pivotable in relation to the carrier element (22) and the connecting element (24) is detachably connectable to the free end (12) of the wiper arm (14), characterized in that the free end (12) of the wiper arm (14) presents several, preferably two, tongues (30, 32) extending in the longitudinal direction, which in the installed state engage in tongue receptacles (34, 36) provided on the connecting element (24) and that the tongues (30, 32) are designed in one piece with the free end (12) of the wiper arm (14) and project at least in sections in the direction facing the windscreen. So, the claim is directed to a wiper device made of several elements, including a so-called “connecting element“. The mention and characterization of the connecting element are underlined above. The defendants marketed wiper connectors in France having the same features as the connecting element of the above claim. The first instance judges had rejected the infringement claim by simply noting that the products marketed by the defendants did not reproduce all the features of claim 1 of EP’280, since said defendants did not market wiper arms compatible with the (infringing) connecting element. I would have loved to illustrate this post with Eiffel tower wipers but strangely enough it seems like nobody had the idea of patenting them. This was certainly an incomplete reasoning, since the existence of contributory infringement does not require that the infringer markets all parts of the claimed product, even separately. It is only necessary that the infringer markets one part of the claimed product, provided that this part represents means for implementing the invention in relation with an essential element thereof. […] The connecting element (24) contributes to the result of the main claim of the patented invention, which is to offer a wiper device comprising a wiper blade arranged on a wiper arm (14) the free end (12) of which comprises two tongues (30, 32) arranged in tongue receptacles (34, 36) provided to that end on this connecting element; this element therefore is a means for implementing the patented invention, relating to an essential element of the invention. This finding seems to make perfect sense because, looking at the claimed wiper device, if we leave aside features which are probably common to most wipers (such as the presence of a drivable wiper arm with a wiper blade comprising a wiper rubber, etc. ), the features which seem to be really characteristic of the invention are, on the one hand, the presence of tongues on the free end of the wiper arm, and on the other hand the presence of corresponding tongue receptacles on the connecting element. In other terms, the invention really is about a particular manner of connecting the connecting element to the wiper arm (at least, this is what is reflected in the characterizing portion of the claim). Therefore, the connecting element having the right shape and connecting features does indeed relate to (or even, is) an essential, i.e. original, problem-solving, element of the invention. Device (10) for detachably connecting a wiper blade (12) with a drivable wiper arm (14), with the wiper blade (12) having a wiping strip (16) facing the screen to be wiped, at least one strip-like elongated carrier element (18, 20), a slider element (22) connected to the carrier element (18, 20) and an oscillatably mounted connecting element (24) on the slider element for connection to a coupling section (26) of the wiper arm, characterized in that the coupling section (26) has a tongue-like insertion section (28), the connecting element (24) has a receptacle (30) for the insertion section (28) and the coupling section (26) and the connecting element (24) have securing sections (42, 56) for mutual permanent connection, wherein in order to achieve a preinstallation position in which the longitudinal axis of the wiper arm (14) and the longitudinal axis of the connecting element (24) form an angle a in the range of approx. 10° to 100°, the insertion section (28) can be broadly linearly (64) inserted into the receptacle (30) and wherein in order to achieve a final installation position the wiper arm (14) and the connecting section (24) are pivoted towards each other around the contact area between the insertion section/receptacle until the securing sections (40, 42, 56) allow a mutually permanent connection. What is important to note in this claim, beside the word “oscillatably” which is probably a challenge to most automatic spelling correction softwares (the original claim was in the German language, which may be an explanation), is the features which characterize the connecting element, which I have underlined. And again, the court found that the connecting element was “a means for implementing the patented invention relating to an essential element of the invention“. This makes a lot of sense just like in the EP’280 case, as this is still a plug/socket type of invention, wherein the innovative features relate to the way two elements are connected together. Therefore, the invention is embodied both in the plug and in the socket – or, in this case, both in the wiper arm and in the connecting element. In both of its orders, the Cour d’appel pronounced an injunction and awarded damages to the claimants, as expected. But, most interestingly, the judges additionally ordered that the infringing products be seized and remitted to the claimants. This measure is not very often ordered and it is certainly attributable to the unusual context of the case. In particular, the judges may have thought that it would not be easy for the claimants to recover the ordered damages from the foreign defendants, so that a seizure was probably necessary as a form or relief. CASE REFERENCE: Cour d’appel de Paris, Pôle 5 chambre 1, April 14, 2015, SASU Valeo Systèmes d’Essuyage, Valeo Wischersysteme GmbH & SASU Valeo Service v. Ningbo Youngsun Auto Parts Co. Ltd., RG No. 13/15794; Cour d’appel de Paris, Pôle 5 chambre 1, April 14, 2015, SASU Valeo Systèmes d’Essuyage, Valeo Wischersysteme GmbH & SASU Valeo Service v. Qeep Auto Spare Parts Ltd., RG No. 13/15800. making, offering, putting on the market, using, importing, exporting, transshipping or possessing for these purposes the product which is the subject-matter of the patent. Exporting and transshipping are the two terms which were added in 2014. However, the most interesting terms for the purposes of a legal discussion are probably “offering” and “putting on the market“, as they leave quite a bit of room for interpretation, one recent example being an infringement case brought by Eurocopter, later renamed Airbus Helicopters, against the U.S. group Bell Helicopter, based on French patent No. FR 2749561 directed to a landing gear with skids. In 2012, the Paris Tribunal de Grande Instance (TGI) rejected all infringement claims, as well as all invalidity counterclaims. In 2015, the Paris Cour d’appel partly reversed, upholding the validity part of the first instance judgment but reaching a different conclusion on infringement. In particular, the appeal judges had a broader view than the first instance judges on what can constitute an offer for sale. by putting it up on the website of Rotor & Aircraft, their distributor in France. This literal reproduction was admitted when Mr. Robert G., structure manager of Bell Helicopter, was cross-examined during the Canadian proceedings and it is not challenged by Bell Helicopter Textron in the present proceedings. But, said Bell, this first version of Bell 429 was a prototype. The TGI agreed, and noted in particular that when this first version was presented in France, it was not yet approved for sale. Since this was a prototype, only Bell Helicopter Textron can be responsible for the presentation to the public, which they do not deny. They state that the presentation of September 15, 2005 was confidential. But the public was aware of it, since a third party mentioned it. The fact that this website was not updated has no influence on the validity of the offer made at this date, since the prototype was presented on an internet website accessible from France by a company representing Bell Helicopter Textron in France. Offering for sale extends to any material operation aiming at putting a product in contact with potential customers, at preparing a commercial launch, even if said product, which in the present case was not yet approved, could not be marketed. Indeed, this presentation of a competitor’s product in France may turn away part of the competitor’s customers. In fact, this presentation in France was preceded by presentations at the Heli-Expo congress in Houston, USA and at the annual forum of the American Helicopter Society in Montreal, Canada; and it was followed by short-term marketing of the second version apparatus, the approval of this second version having been obtained partly based on tests made on the first version. This offer, in these circumstances, is an act of infringement. So, even without any sale, and even if no sale is even possible because the product is not yet approved for sale, a presentation of the product to the public in France is an act of infringement if it can be analyzed as part of a preparation for future marketing. This seems to make sense, as it is certainly possible to start attracting customers even before the first product is actually sold. b) To experimental acts concerning the subject-matter of the patented invention. However, this line of defense was dismissed by the court, since Bell could not prove that any scientific experimentation had been performed. Therefore, the presentation was deemed commercial in nature. Having dealt with the first version of the Bell 429 helicopter, the court turned to the second version, which appears to have been designed as a workaround of the Airbus patent. The second version was approved for sale in 2009. The efficacy of the workaround was put to the test in front of the court – and it failed. The claimed landing gear was in particular characterized by the presence of skids comprising, in the front, a double curvature inclined transition zone, transversely oriented with respect to longitudinal support stretches, and forming an integrated front cross-piece, offset relative to a front delimitation of a plane of contact of the longitudinal support stretches. Bell’s non-infringement argument was that there was no cross-piece structurally integrated to the landing gear. Instead, there was a cross-piece fixed owing to connecting sleeves. In addition, the gear was longer toward the front, so that there was no offset of the cross-piece relative to the front delimitation of a plane of contact. Finally, the technical advantages offered by the patent were not achieved, as in particular the weight of the landing gear was increased in this second version of Bell 429. But the court held that there was still a double curvature inclined transition zone in the second version. Although a piece had been added in the front, the claim did not require the cross-piece to be at the front end of the gear, but only required the cross-piece to be offset relative to a front delimitation of the plane of contact, which was still the case. Regarding the structural integration of the cross-piece, the court noted that said cross-piece formed “a functional set” with the skids, so as to transmit mechanical constraints. This configuration differs from classical landing gears, the cross-pieces of which are fixed with connecting sleeves and do not form a functional set. Without having access to the evidence, it is of course difficult to know whether the assessment made by the court is technically correct or not. But what is remarkable anyway is that the fact that the configuration of the infringing device was similar to that of the claimed invention, while at the same time different from conventional devices, appears to have been a key factor. But the actual test that French courts are supposed to apply relies on a functional analysis, which is why the Cour d’appel also looked at the function of patented features and investigated whether those were (i) reproduced by the Bell 429, second version, and (ii) could be protected per se (irrespective of the claim wording). According to the patent, deformations are present on the inclined transition zones, that is, as a whole, and not only on the curves. This technical effect is also reproduced on the second version of the landing gear of the Bell 429 apparatus from Bell Helicopter Textron, as indicated by Mr. PPL who states that the deformations are present essentially regularly on the whole transition zone, the zone with the largest level of constraints being where the cross-piece is fixed on the apparatus. The Airbus Helicopters patent covers, contrary to what is stated by Bell Helicopter Textron (namely that the implemented functions were known from the prior art), novel technical functions (front cross-piece with double curvature inclined transition zones, offset, which works in flexion on several planes and in torsion, related to the structure of the apparatus which transmits part of the constraints towards the skids), consisting in addressing the problem of resonance on the ground, by a better adsorption of forces upon landing. The documents communicated by Bell Helicopter Textron to demonstrate that the functions performed by the inclined transition zones of the Airbus Helicopters’ patent would be known from prior art landing gears are not relevant as these documents relate to conventional landing gears which do not have an inclined transition zone and work, unlike the invention, in flexion in only one plane, and it was previously stated that this invention is novel and particularly innovative. Quite interestingly, the patent proprietor conducted numerical simulations to demonstrate that the second version behaved similarly to the claimed invention in terms of energy adsorption. These numerical simulations were very criticized by the defendant, but the court did find them convincing. Also, Bell had apparently submitted that the landing gear, second version, behaved similarly to the landing gear, first version, in the approval procedure for the helicopter in Canada. This second version, despite the presence of a connecting sleeve on the first transition zone, and the addition of an element at the front end of the skid, has the same functions for the same result as the invention, and it is irrelevant that this result is not of the same level of sophistication as the invention’s. 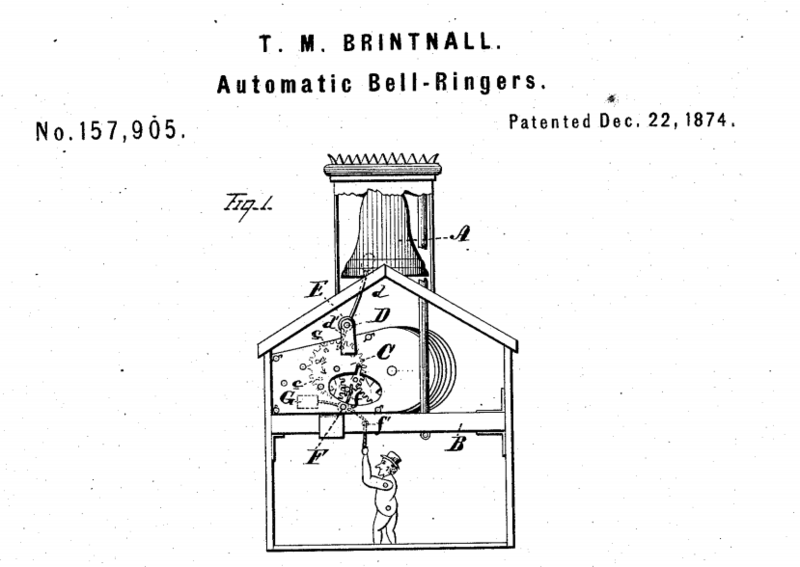 It should be noted that this modification of the first version was quickly implemented, apparently so as to react to the infringement lawsuit against the Canadian Bell company, a degraded embodiment making it possible to try to conceal the copying. In other terms, the second version was found to infringe the patent as well. Mr. Robert G., manager at Bell Helicopter Textron, who was heard during the Canadian proceedings, acknowledged in front of the court that this modification was determined further to some quick thinking in order to give the second version of the landing gear a behavior identical to the first version. So the takeaway message for defendants could well be that a workaround supposed to work in the same way as a claimed invention is at a risk of being found infringing under the doctrine of equivalence. Unless of course the application of this doctrine can be ruled out because the technical functions at stake are already known from the prior art. At the very least, extreme caution is thus required at the time of the design-around. As for this litigation, this is probably not the end of the story. First, a petition to the Cour de cassation (supreme court) is very likely in a high stake case such as this one. Second, the quantum of damages still needs to be determined. So, unless the parties settle (which is always an option, especially in the context of multinational litigation), we should hear again about Airbus Helicopters and Bell. CASE REFERENCE: Cour d’appel de Paris, Pôle 5 chambre 2, March 20, 2015, Airbus Helicopters v. Bell Helicopter Textron Inc. et al., RG No. 13/00552. A few years back, it was a common thought that standard-essential patents (SEPs) are the jewel in the crown of a telecom IP portfolio. SEPs are patents that are mandatory to work for the implementation of an industry standard, such as for instance the GSM (2G), UMTS (3G) or LTE (4G) standards in the telecom industry. Because it is not possible to make and market devices which do not implement the relevant standards, SEPs may seem like the perfect tool for putting pressure on potential licensees because any non-infringement defense is supposed to be made more difficult. But nowadays, SEPs probably look much less powerful than they used to. First of all, patent owners have to abide by the rules of standards-setting organizations, which require them to offer licenses on FRAND (Fair, Reasonable And Non Discriminatory) terms. Defendants have questioned whether it is allowable at all to enforce FRAND-encumbered IP rights against third parties, especially when it comes to the mother of all remedies, namely injunctive relief. This FRAND defense has given rise to complex legal discussions (revolving in particular around the issue of what is a willing or unwilling licensee) which have culminated in the CJEU. But more fundamentally, the overall outcome of the many smartphone patent wars which have been waged in the past few years, both based on SEPs and on non-SEPs, is far from being positive for patent owners – despite a few resounding wins. Therefore, it seems that SEPs did not deliver on their promise of being easier to win on by practically excluding any non-infringement challenge. Although SEP litigation has been much more abundant in Germany and the U.S. than in France, one case decided on last year confirms this global trend in a spectacular fashion. Core Wireless Licensing is a monetizing entity holding a portfolio of more than 2,000 patents acquired from prolific patent applicant Nokia. The majority of these patents were declared as essential for the 2G, 3G and/or 4G standards at the ETSI (European Telecomunications Standards Institute). Core negotiated a license on this portfolio with the Korean giant LG Electronics between 2012 and 2014, without success. In 2014, Core started legal action in France against LG. Core did not request an injunction but requested that the court should award damages for the past as well as force LG into a license and set the level of royalties for the future. It is not possible in practice to ask a court to look at an entire portfolio of hundreds or thousands of patents. On the other hand, Core did need a finding of infringement in order to get the court to issue the requested order. Thus, Core selected a group of five SEPs from the portfolio and claimed that these five patents were infringed by LG. Why five patents and not just one? Well, the rationale may have been that every single patent is at a risk of being found invalid, or not infringed. But the more patents you pile up, the more unlikely it becomes, on a purely statistical standpoint, that they will all be found invalid or not infringed. The defendant needs to fend off all patents in order to win, while the plaintiff only needs one to get through. So, was this indeed a rock-solid strategy? The Tribunal de Grande Instance (TGI), defying the odds, held that there was no evidence of infringement of any of the five SEPs, and rejected all of Core’s requests. I know that it is always much easier to explain why a strategy failed after the facts, but in my view there are two main circumstances which may account for this prima facie surprising outcome. 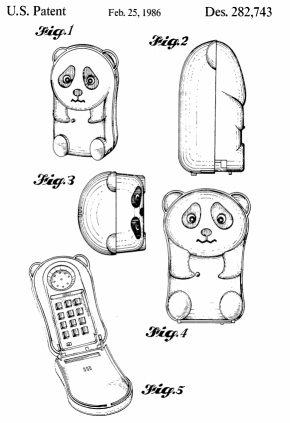 Contrary to what you could think, telecom litigation is not always kawaii. This is as much of a rocket docket as you can possibly think of. The second circumstance is that the case was extremely complex. Both on a legal standpoint, with five patents at stake and thus five separate validity and infringement discussions, plus a FRAND defense, plus an exhaustion defense based on alleged pass-through rights from the electronic chip manufacturer Qualcomm; and on a technical standpoint, because the five patents were rather abstract and difficult to grasp for a non-specialist. We can easily imagine that the French judges, with no technical education and no technical assistance whatsoever, confronted with probably hundreds of pages of written submissions to digest containing highly sophisticated developments on signal processing, having heard oral explanations for a couple of hours at best, and having dozens of other cases on their desks to review in the same period of time, were faced with an insurmountable task. However, as rightly put by the defendants, contending that the operations of data propagation and power modification can be performed in any order in the 3GPP TS 25.213 V.11.4.0 specification is a statement that is not confirmed or justified by any evidence. More generally, any claimant has the burden of proving its case. It is indisputable that Core have limited themselves, in order to show that the 786 patent is essential, to filing an analysis drafted by an expert that they have hired and selected, without proceeding in a meticulous, precise and understandable way with demonstrating that the reduction in power described by the patent is necessarily reproduced by all cell phones implementing the 3GPP TS 25.213 V.11.4.0 and 3GPP TS 25.302 V10.0.0 specifications. It should be added that infringement by equivalence requires another demonstration, namely that other means can be used to implement the same patentable result, which is not present either. The court’s findings on the other four patents were similar: each time, the court stated that the defendants’ non-infringement defense had not been clearly proven wrong by the claimant. The bottom line is that demonstrating that an SEP is infringed is not a piece of cake – since a declaration at the relevant standards-setting organization that the patent is or may be essential cannot be taken for granted, as the organization does not check whether this is indeed the case. So, any declaration of essentiality notwithstanding, the burden of proof remains on the patent proprietor to demonstrate infringement, and the TGI’s decision reminds us that it is a heavy one. Indeed, the wording and technical explanations used in a patent are usually very different from the wording and technical explanations used in a standard specification. Again, unless you are a specialist in signal processing, it can prove difficult to get your bearings. So, is there any solution at all for telecom patent owners – except waiting for the advent of the UPC, which will likely have more resources and be better equipped for handling complex litigation of this kind, notably owing to the presence of technical judges? either ex officio or upon request of a party, appoint any consultant for following the proceedings from the case management, and be present at the hearing. The consultant can be authorized to ask questions to their parties or their representatives. Judges without any technical background can thus get assistance from a technically skilled consultant in order to make a better-informed decision on a case. This option has seldom been used by courts and litigants. Does it add a layer of procedural complexity to a case? Yes. Is the outcome of the case highly dependent on the consultant’s skills, not only on the technical standpoint, but also in terms of understanding the patent law issues which are really at stake for the court? Certainly. So, isn’t this a solution which is far from ideal? I would agree, but it could also be the only acceptable one in this particular context. To finish on the Core case, the court rejected all claims and counterclaims. The invalidity counterclaims were not examined as they were submitted in an auxiliary manner. The court also held that there was no need for setting a FRAND royalty rate in the absence of demonstration of the essential character of the patents; and that there was no need to force Core to file the Nokia / Qualcomm license agreement, again in view of the essentiality finding. Furthermore, the court rejected LG’s counterclaim for damages based on Core’s alleged bad faith in the negotiations, as well as LG’s counterclaims for abuse of dominant position and for abuse of procedure. […] the negotiations between the parties lasted for more than two years, which tends to show that neither of them behaved with enough bad faith to prompt the other one to stop this phase. Besides, the parties blame each other so that the court, which does not know everything about these negotiations, is not in a position to state that bad faith is more on one side than the other. Again, the message is clear: each party should prove its case, and allegations will not suffice. CASE REFERENCE: Tribunal de Grande Instance de Paris, 3ème chambre, 2ème section, April 17, 2015, Core Wireless Licensing Sàrl v. LG Electronics France & LG Electronics Inc., RG No. 14/14124.